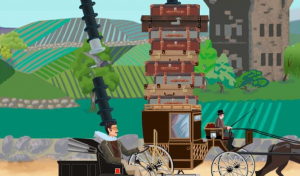 Max Gentlemen is an arcade game style extreme manners simulator about stacking and wearing hats. As everyone knows, the real gentleman have wear a hat. And so it follows that to ‘max’ your gentleman status, you must wear all the hats.